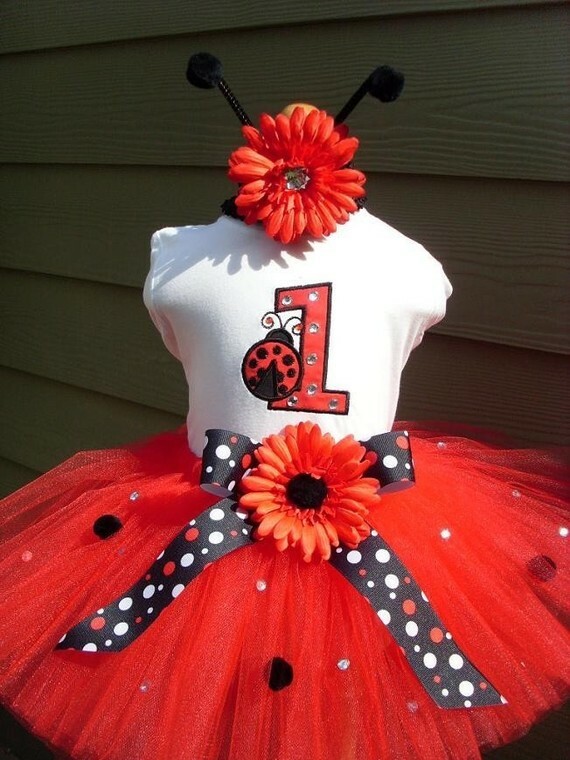 This personalized red and black rhinestone LADYBUG birthday tutu set is sure to make your little one smile! Great for you little girls special day! This BIRTHDAY LADYBUG TUTU is done in RED, very full, adorned with black pom poms, and a large polka dot bow with a beautiful flower. A flower headband with antennas is included. This DESIGN has a LADYBUG with the NUMBER of your choice, 1-6, that has been machine embroidered and appliqued directly on to the shirt. "It is not an iron on!"